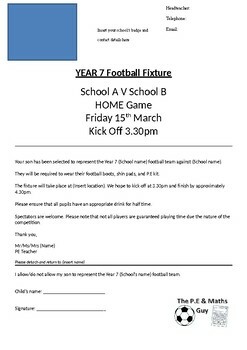 A fixture letter template that is easily adaptable for all schools and sports. Please delete logo in bottom right corner before distributing to parents. Please leave a review and comment how I can improve my resources, thank you!